Stranraer & Wigtownshire “kick off” on Armed Forces Day. 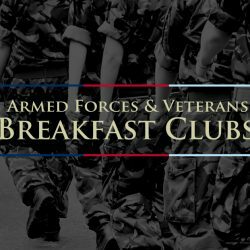 Here in Stranraer; Our Stranraer & Wigtownshire Breakfast Club kicks off on Armed Forces Day. 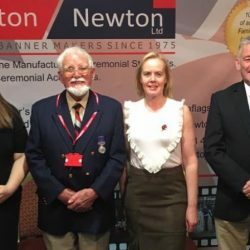 I’m posting this on behalf of Tracy from Newton Newton Flags. Some of you may have had your flags from them. Anyway her father is going a parachute jump at the sprightly age of 85 years young. 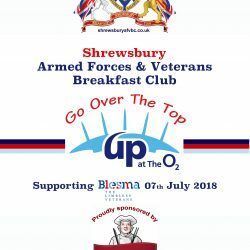 On Saturday 7th of July a team of members from Shrewsbury Armed Forces & Veterans Breakfast Club (SAFVBC) will ‘go over the top’ of the O2 in London to raise money for Blesma, the limbless veteran’s charity. It’s mobile friendly and is a vast improvement. It so much easier to find your nearest club, and even gives you directions.